The multiple injection delivers best-in-class high torque performance at low rpms. • No EGR valve is used: 100% fresh air is taken for combustion without DPF and no extra cooling system is needed. With HI-eSCR after-treatment, FPT technology meets EU Stage IV (Tier 4 final) emissions standards, a big step towards cleaner air. With this system, fewer components are involved, engine oil quality is not compromised and there is no need for a particulate filter (DPF) or additional cooling. Our cab is also certified P2 level according to European Standards EN143, which means that 94% of airborne particles are filtered. When working in particularly tough conditions, additional pressurisation and particle filtration can be fitted. 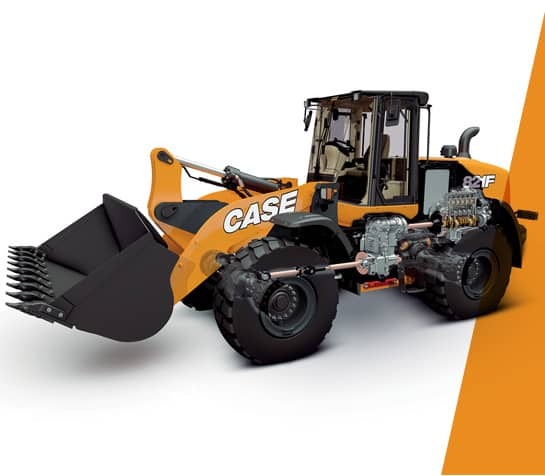 On Waste Handler models windshield guards, provide protection from falling pieces of solid waste. The air suspended seat features a high back design and lumbar adjustment, a saving grace during long working days. It includes seat heaters which warm up cold winter mornings.